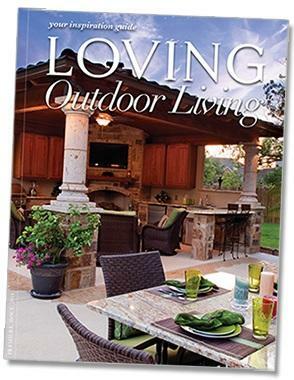 Our new magazine “Loving Outdoor Living” is written by and especially for outdoor living aficionados. Click the photo above to download your copy today! Visit Archadeck of Central South Carolina’s profile on Pinterest. Thank you for visiting the Archadeck of Central South Carolina website. We are proud to be your local outdoor building specialists serving Columbia, Lexington, Irmo and the surrounding areas. Archadeck of Central South Carolina delivers the service and community commitment of a local, family-owned business bringing the knowledge and experience of three generations to the table. We are also backed by the strength of a company that’s built 100,000 incredible outdoor structures since 1980. We offer you the benefit of a national architectural design center that will custom design your project to complement your home, suit your personal tastes and meet your exact needs for functionality. Since beginning Archadeck fifteen years ago, we have become the area’s premier builder for decks, sunrooms and porches in the region. 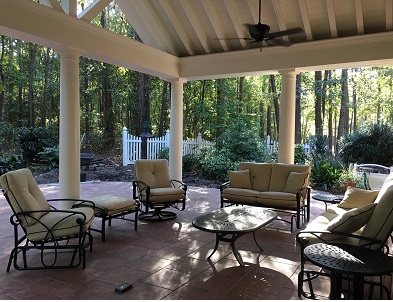 Our three-generation, family- owned company has created more than 750 outdoor living projects enabling our customers to take advantage of the natural beauty of the Central SC region and the mild climate we are fortunate enough to have almost year-round. 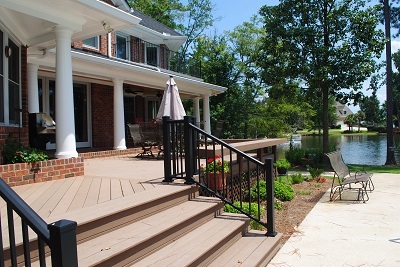 We specialize in designing and building decks for the way you want to live outdoors. 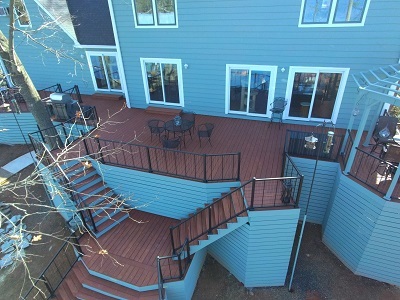 From high-quality, low-maintenance composite and PVC decks to exotic hardwoods such as Ipe, we offer an extensive selection of decking materials to choose from. Our goal is to bring the best to our customers and that includes not only the best design and craftsmanship but also the best materials. Here at Archadeck of Central South Carolina, we specialize in all things outdoor living. A huge benefit of being able to live the outdoor lifestyle you desire is having options. This can mean having a protected outdoor living structure such as a screened porch or covered porch or a sunroom. It can also mean an outdoor room that works in unison with a deck or patio. A protected outdoor living structure, whether alone or part of an outdoor living combination, allows you the freedom and protection to escape a summer shower, hungry mosquitoes or the heat of the August afternoon sun without having to retreat indoors. Our outdoor spaces are designed with a keen eye for the holistic way homeowners now view their backyards with the goal of creating an outdoor escape. Mike, Marshall and Tucker Reu bring a modern approach to outdoor structures steeped in the quality craftsmanship of a by-gone era. We specialize in creating unforgettable outdoor structures with attention to the smallest details and quality you can see and feel! We invite you to call us for a free design consultation (and/or a free deck safety inspection if you own an existing deck). During your consultation we’ll show you past projects, discuss your needs and tastes, explain your construction material options (including the new, low-maintenance wood alternatives), talk about costs, and measure and photograph your home/lot. Of course, once you do sign that contract, you will be protected by two separate guarantees, constituting the most expansive customer protection plan in the industry. We attend to every detail from securing any needed building permits to final cleanup. And we work very hard to be as unobtrusive as possible during the entire construction phase. Thank you for considering Archadeck of Central SC for your project. We hope to hear from you soon. Contact us at (803) 603-2160 to discuss making your outdoor living dreams a reality! Please take a minute to peruse our website photo galleries— follow us on our blog— and Google+ page. You may also visit our Facebook — YouTube and follow us on Twitter for more ideas as to how we can make your outdoor living dreams come true! We build decks, sunrooms, screened rooms, screened porches, pool decks, spa decks, gazebos, pergolas, porches, loggias, arbors, privacy screens, fencing, planters, benches, ramps, bridges, walkways, docks, garden structures, outdoor kitchens, outdoor rooms, and much more. We also design hardscape elements including patios, walkways, terraces, garden paths, pool decks and courtyards. 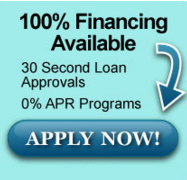 Call us at 803-603-2160 for your free design consultation. The owners of Archadeck of Central South Carolina are a pleasure to work with. They sat down with us and helped design a custom deck. They made good suggestions about both materials and construction so it would meet our needs and look great! For example, to enable access to the storage areas under the deck and to allow a cantilevered section at the back, steel flitchplates were used for strength and to span distances. The craftsmen employed were highly skilled and dependable and the owners of Archadeck provided consistent and helpful supervision. Many of our neighbors walking by tell us how good the deck looks and we are enjoying it immensely. Mike Reu’s company built a back porch for us. It is a thing of beauty. I would call him again in a heartbeat. Archadeck of CSC went the extra mile and patiently worked with my wife and me to ensure that our custom deck expansion project was built to our specifications. Also, the craftsmanship and construction materials were top quality. As a result, the final project turned out even better than we had envisioned. 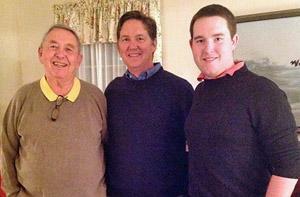 Mike is a friendly, understanding, and accommodating individual who is great to work with. He listened to our needs and found a way to make it happen. We truly enjoyed working with him and very grateful for his personal touch. From the very start to the very end his service was truly exceptional. We would be glad to recommend him and Archadeck to all our friends. We had an old deck that we tried to salvage until one day we decided that the annual upkeep was too much. We saw the nice job Archadeck had performed on our neighbor’s new deck and called Marshall. 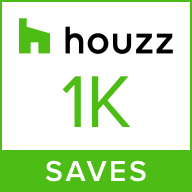 We used a fairly new product and found that it had a few kinks in the installation, but over time we were able to overcome all the finish issues. Since we were one of the first to have the new product we were, unbeknownst to us, a Midlands pioneer. Our deck never looked better. No more staining, adding boards, tripping, etc. It is like having another room and the product looks like wood but without the headaches. Marshall and his team are professionals and are diligent in getting the job done. If Marshall says he is going to do something – he will do it. You can count on his word as his bond. Refreshing in today’s world! Quality and craftsmanship. That’s what I am seeing in the project that Archadeck of Central SC is currently doing at my house. Thanks Mike, Joe is doing an outstanding job. Beautiful and professional work! I would recommend this company to anyone thinking about adding a deck or pergola to your home! This company is EXTREMELY professional and the care and attention are incredible. We had a sunroom and deck built by Archadeck. It’s the people, follow up, and attention to detail that sets them well above anyone we considered. Mike R** follows up and makes sure everything is exact. The plans are submitted to a professional engineering group for concurrence and building code compliance. The warranty and follow up by Mike after job couldn’t have been better. ******* of the office staff is a fantastic coordinator and communicator. Sure beats talking to some silly recording and hoping someone will return your call! This is a local group with a unique corporate backbone to support them. Recommend them without reservation!!! Very professional company. I would use them again. Archadeck added a custom brick and stone fireplace with an enclosed large screen tv cabinet to our back patio in the fall of 2015 and did a fantastic job. The work is of extremely high quality and was completed on time and within budget. We have been extremely pleased with our fireplace and would highly recommend Archadeck. When we started thinking about replacing our 15-year-old deck, we wanted something different, on a larger, multi-level, more user-friendly scale. We met with Archadeck and together worked up a 3-level design that included a seating area, dining area, built-in outdoor grilling area, and gas firepit. Construction was top-notch and the crew was professional and helpful through the entire project. When we have family and friends over, they are wowed….as are we. Archadeck exceeded our expectations and I highly recommend them. Our experience with everyone at Archadeck was great. We could not be happier with the deck they designed and built for us. Everyone comments on how well built it is and what a great addition to our backyard. In fact, we are so well pleased with Archadeck, we are meeting with them soon to start another project. Thanks to everyone at Archadeck. Thank you for the new deck on the back of my house. The work crew did an excellent job and was considerate of our yard space. Cleanup was excellent. Past experience with Archadeck, again was a good choice. Re-New Crew did an excellent and professional job finishing and staining. Archadeck was extremely responsive after I contacted them on Home Advisor. They quoted the project and completed it at same price. We had one add-on that we mutually agreed to and that was a very positive experience for the additional work. Archadeck was very cost effective on the add-on. Archadeck had all levels of staff to meet my needs. In addition to labor doing the work, they were very strong with PM and another manager that would contact me regularly to see how things were progressing. This was excellent service. We love, love our sunroom. A fantastic addition to our home. Thank you, Archadeck.